Living A Self-Determined Life In The Community. EPIC is a community-based program “Without Walls” that provides clients with meaningful, self-determined, inclusive health and wellness opportunities that initiated programming in January of 2015. Assisting persons with disabilities in developing friendships while accessing, with emerging independence, venues of their choice in integrated settings within the community. We are able to assist our consumers in this endeavor by providing a web of community-based services and supports. Consumers will be supported one on one when needed with hopes of fading this support to “natural supports” in the community. EPIC actively works to educate and develop partnerships with the client's family and caregivers; particularly encouraging families, caregivers and persons with disabilities to dream and raise their expectations for meaningful community participation, thus raising expectations in the community. We wish to teach our consumers self-advocacy skills and support them as they advocate for themselves and others on a state and national level. We wish to give our consumers and their families the skills to educate legislators and the broader community about issues that are important to them; the outcome being improving the lives of people with disabilities. Terri and her husband chose to end Brigitte’s participation in a center­-based adult day program after graduation from Leach School. During her time in the program and upon reflection, it was determined that this type of program was not a good fit for Brigitte due to its lack of self­determined choice of activities and community inclusion with non­disabled peers. Jack knew from follow­up conversations with parents of Leach graduates that many of their son/daughter’s were also receiving this type of programming in similar segregated center­based sites or choosing not to participate at all and staying at home. It was also evident that families and caregivers were extremely limited in their knowledge of opportunities offered in the community for their sons and daughters. Families and caregivers working on behalf of adults with disabilities also made Jack and Terri aware of their frustration by their lack of success in attempting to navigate a fragmented system of supports. After seeing how happy and engaged Brigitte was when she made, with family support, self­determined choices of community activities with non­disabled peers in her community, i.e., auditing classes at a university, volunteering at the Food Bank and Firefly concert, engaged in recreational opportunities that led to her becoming a real part of her community, EPIC’s, decided that this was the type of opportunity that others with disabilities should be afforded supporting a purposeful and rewarding life. EPIC’s Board also determined that the organization will work closely with families and caregivers to improve their navigational skills of Delaware’s disability support system. This improvement will be facilitated through their personalized and group training in their access to EPIC’s official website, use of social media venues. Serving as prominent “voices of advocacy” within Delaware’s disability community, EPIC staff members will continually advocate for the rights of people with disabilities to have equal opportunities for: living and participating fully within their communities; developing personal and lasting relationships with other members of their communities, and; developing and improving their individual life skill levels. With the support and encouragement of the Department of Health and Social Services, the Division of Developmental Disability Services, the DD Council, families, caregivers, agencies, university and legislative leaders, and culmination of a successful fund­raising campaign, EPIC plans to initiate a pilot program in 2015 supporting ten clients in self-directed activities within their community. Mother of 6 children. Our 29 year old daughter Brigitte has cerebral palsy and lives and spends her days completely in the community. I am the President of the Board and co-founder of EPIC (Endless Possibilities In the Community). I chair the Governor’s Advisory Council for DDDS, I chair the Policy and Law committee for the Developmental Disabilities Council, a member of the State Council for Persons With Disabilities, Member and past chair of the Governor’ Advisory Council for Exceptional Citizens. Vice President of the Board of Art Therapy Express. I was also co-chairperson of the State Transition Task Force for Emerging Adults with Disabilities and Special Healthcare Needs. I worked at the Center for Disabilities at the University of Delaware for 5 years. Most of my work was on healthcare transition and recreation for people with disabilities. 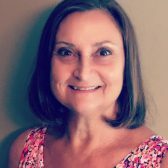 Deborah Kiser has 37 years of experience as a physical therapist, with her practice focusing on children and young adults from birth through age 21 with severe disabilities in school-based programs in Delaware. 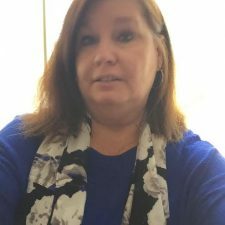 Debbie received her physical therapy degree from the University of Delaware and her MS in Education from The Johns Hopkins University. Debbie served on the Task Force on School-Based Physical Therapy Performance Appraisals, as part of the Pediatrics Section of the American Physical Therapy Association, which produced the document “Performance Appraisal of School-Based Physical Therapists: The Link to Student Outcomes.” She served on the Physical Therapy Workgroup for Student Growth Measures, as part of the Delaware Performance Appraisal System with the Delaware Department of Education. Tim Brooks is married to Martha and has three children, one of whom has severe disabilities. 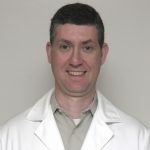 Tim spent a 40 year career in higher education including over 20 years as the Dean of Students and a faculty member at the University of Delaware. Tim has been a volunteer advocate for persons with disabilities for over 45 years and has been a board member of several disability organizations. Jack graduated from the University of Delaware with a BS in Agriculture, with a teaching certificate, and received a Masters Degree in Educational Leadership from Glassboro State University. 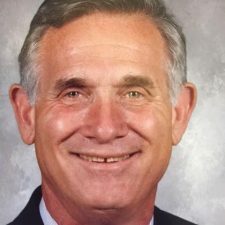 Jack was a vocational horticulture teacher for 15 years at John G. Leach School, a public school for students with moderate to severe physically/intellectual disabilities ages 3-21. Serving as an assistant principal for five years and then principal for 16 at Leach, Jack was recognized with the ARC’s Principal of the Year award for the State of Delaware. While principal, Leach was awarded two State of Delaware School/Parent Partnership awards, a Superstar in Education award, recognized as the first MOVE model site in the United States (Mobility Opportunities Via Education, a functional mobility program), along with the receipt of an array of awards and grants. Jack also worked with Leach School parents, advocates, business persons and other stakeholders establishing the CERTS program, a post-21 day activity program for young adults with disabilities exiting their school age programs. Upon retirement after 37 years of service, Jack was an active member in an array of educational committees and task forces, and now the Executive Director of the non-profit organization called EPIC, Endless Possibilities in the Community. Care Needs primary care practice) in 2009 and Medical Director 2010-2013. Multiple presentations nationally on the topic. Bill is treasurer of Delaware People First, where he helps people with disabilities speak up for themselves and become stronger advocates. With his wife, Barbara, Bill has participated as a Focus Person for the UD Senior Seminar in Disabilities Studies course. He also has given guest lectures at UD on various topics related to self-advocacy and the treatment of people with disabilities. Bill has led the developmental of an annual self-advocacy conference in Delaware, and was on of Delaware’s representatives at a national self-advocacy conference. 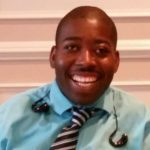 He also has been a speaker at multiple state, regional and national conferences on self-advocacy, including last year’s LIFE Conference in Dover. This Spring, Bill served as co-chair of the residential work committee advising DDDS on a self-assessment tool for providers pursuant to the federal CMS rule. Elorm serves as the webmaster on the EPIC Board of Directors. Elorm was introduced to EPIC through MIS program at the University of Delaware. 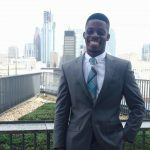 During his time at the university, Elorm helped EPIC launch their new website with improvements to functionality and design. What services does EPIC offer? EPIC offers customized health and wellness fitness programming within the inclusive setting of the Bear/Glasgow YMCA. Who are your services available to? Adults ages 18 and older with moderate to severe physical and/or intellectual Disabilities who are clients of the Delaware Division of Developmental Disabilities Services and/or Medicaid. Does EPIC provide transportation to the Bear Y? No, clients coming to the Y would use paratransit or be driven by family, friends or caregivers. Does EPIC charge for its services? In general there are no fees for EPIC services. EPIC is a DDDS vendor and reimbursed for services provided to clients covered by DDDS or Medicaid. Where does EPIC’s funding come from? EPIC’s funding comes from a variety of sources. EPIC has a contract with the Delaware Division of Developmental Disabilities Services (DDDS) and Medicaid to provide programming. EPIC hosts several fundraising events each year, and relies on donations from individuals and grants from foundations, corporations to fund its current initiatives. Where does EPIC provide services? EPIC is a statewide organization. However, as a new non-profit organization programming is currently taking place at the Bear/Glasgow YMCA but plans to expand in the future throughout the YMCA’s of Delaware. Do you have to live in Delaware to receive EPIC services? 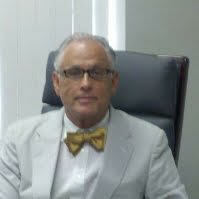 You must be a Delaware resident and client of DDDS or Delaware Medicaid to receive EPIC services. Can I attend another day program or work while using EPIC’s services? Yes, since EPIC is a part-time program you may also attend another program when you are not at EPIC.